This week is total businessladytime (a phrase my friend Molly likes to use and that she got from Aliya Bonar) because I am preparing to go down to San Antonio for client meetings. I have been plotting all week what to wear on my trip and which sort of beauty products to bring that will be not only professional but can pass the TSA’s stringent carry on regulations. I miss the days where you could just show up at the airport 15 minutes before your flight and bring your boombox on the plane with you and all the 10 oz bottles of shampoos and snow globes your heart desired. I am aware that I am totally dating myself right now. 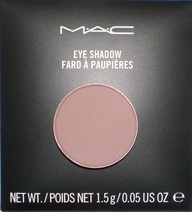 Quarry is the perfect matte taupe eyeshadow. Totally neutral but wills till give the your eyes some definition and pop. 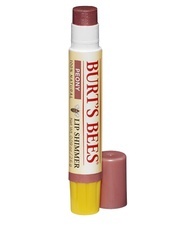 This is a great neutral lip shimmer in a brownish pink that has real staying power and feels more like a minty chapstick than lipstick. This product gets bonus points for not having look in a mirror to apply. I am in so love with this kit. Every product included – the primer, moisturizing tint, two kinds of concealers, finishing powder and even the brushes are amazing. 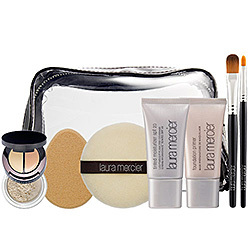 I had heard good things about Laura Mercier but had no idea how truly excellent her products were. 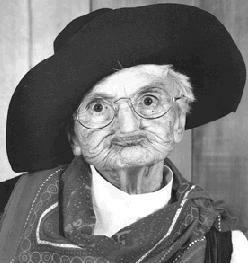 Flawless is right! Best of all everything is TSA size and comes in a clear makeup bag. All I have to do is pop the other beauty essentials in the bag and I am ready for businessladytime. I look forward to trying vue out!